Bodging Milano One Year On is a project with a rich back-story. 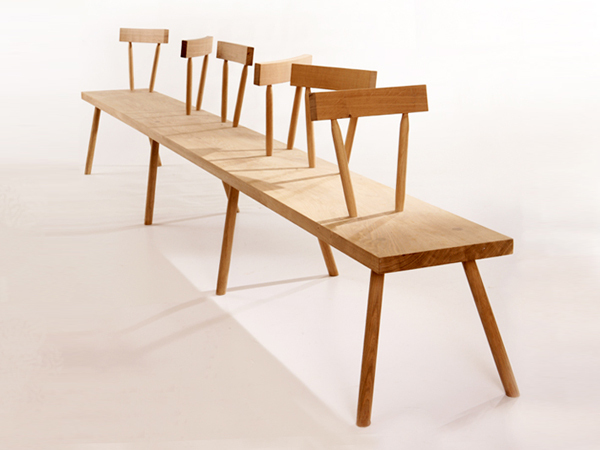 British furniture designer Chris Eckersley developed an interest in 'bodging' (back to nature woodworking) and after trying out the process for himself, invited eight UK designers to come along with him for the next go. 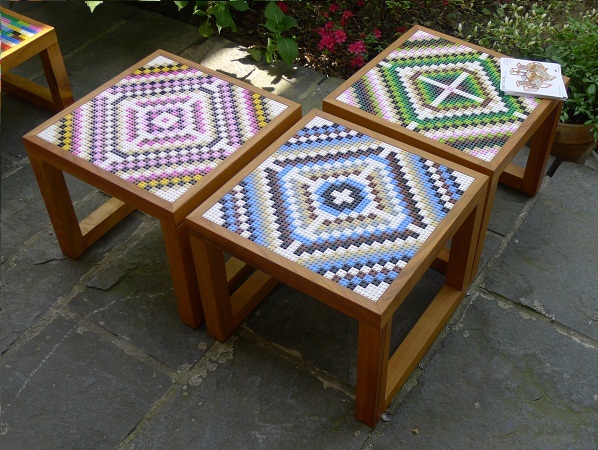 A week was spent in Clissett Woods, Herefordshire, creating chairs by hand from unseasoned timber, and the results were shown at Designersblock in Milan 2010. They proved popular. So at this year's show, prototypes of the now refined collection of 12 chairs were on display - and are available to order now from Warwickshire-based furniture-makers Sitting Firm. Subalterno1 showed a collection of imaginative furniture, lighting and accessories by Italian designers under the umbrella theme of "autoproduzione" (self-made) in Ventura Lambrate during Milan design week. German designer Doreen Westphal presented Sunny Spells and Scattered Showers at Designersblock Milano last month: a collection of vases made from Quantz concrete and based on the first weather forecast following the ousting of Mubarak earlier this year. 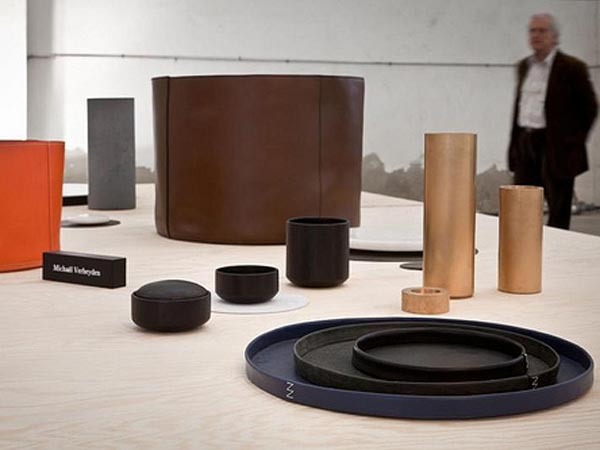 Belgium-based designer Michael Verheyden showed a collection of finely crafted leather accessories at New Times, New Heroes during Milan design week - a perfect example of our Honest leathertrend for the next few seasons. 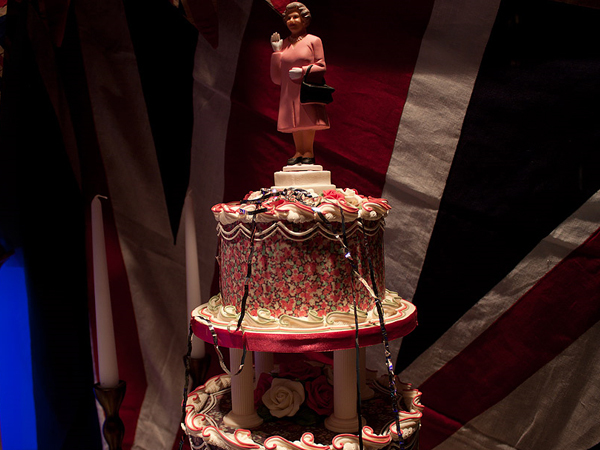 Retailers have joined in the royal wedding festivities, featuring windows bursting with commemorative goods and merchandise that screams British patriotism. Consumers are expected to be buying up royal wedding goods; but retailers expect a footfall slump on the big day. Retail Week reported that the royal wedding celebrations will cause mixed retail trade, speaking to Inditex UK managing director Dilip Patel who said: “Half a million visitors should be coming and they’ll be shopping when they’re here.” But hopes are that consumers will be celebrating the wedding tomorrow by shopping: “hopefully they’re also out spending money as part of the festivities” said Harold Tillman, Jaeger chairman. WGSN-homebuildlife's Eco Hedonism macrotrend for autumn/winter 2012/13 talks about how designers are moving towards designing an atmosphere, an experience or an object with meaning. This trend is becoming ever more present and the opening of exhibition Urban Fog in Dalston, London next week further confirms this as an emerging theme. 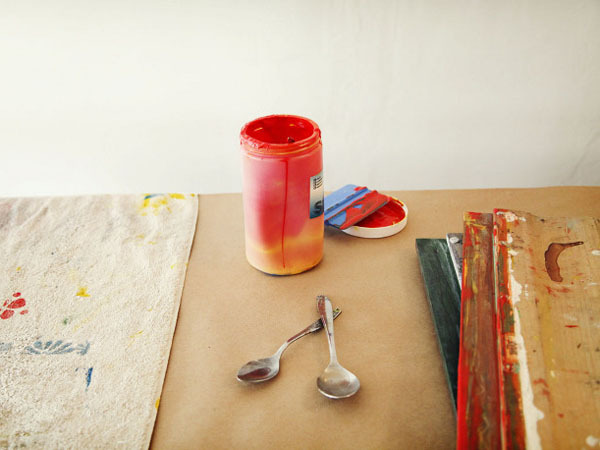 Brooklyn-based photographer Jennifer Causey is the force behind The Makers, a photo blog which beautifully documents the studios and making processes of creative companies all around her local area, including a ceramicist's studio, a chocolate makers, a florist's and a perfumery. 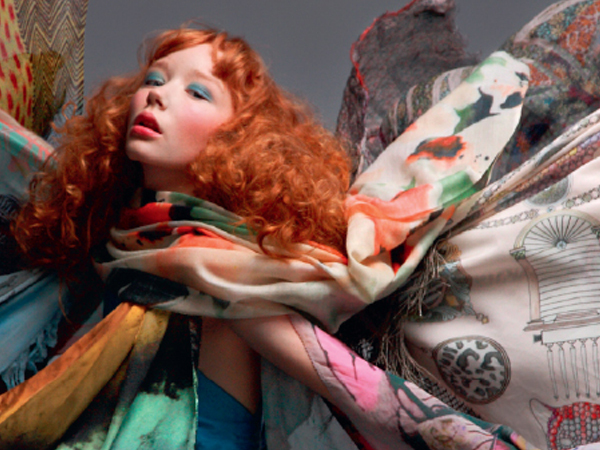 Luxury department store Liberty London will be launching a bi-annual glossy magazine titled At Liberty. The publication will present the best of Liberty’s product offer- showcasing what’s new and exclusive for the season. 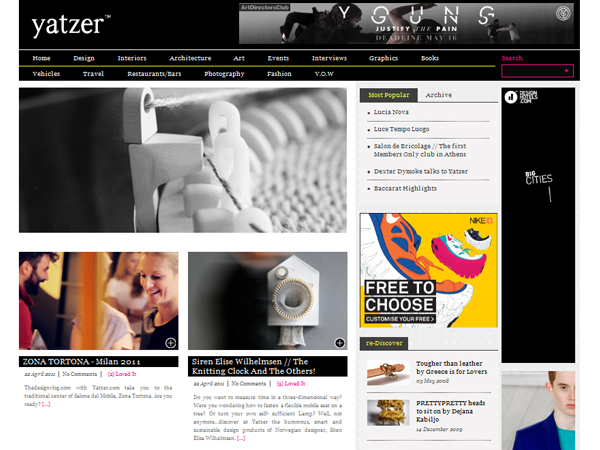 The magazine’s team will be headed up by consultant editor Melanie Rickey; currently fashion editor-at-large of Grazia. Produced by River, At Liberty magazine will be available in targeted consumer magazines and weekend broadsheet supplements. The first issue will launch in September. 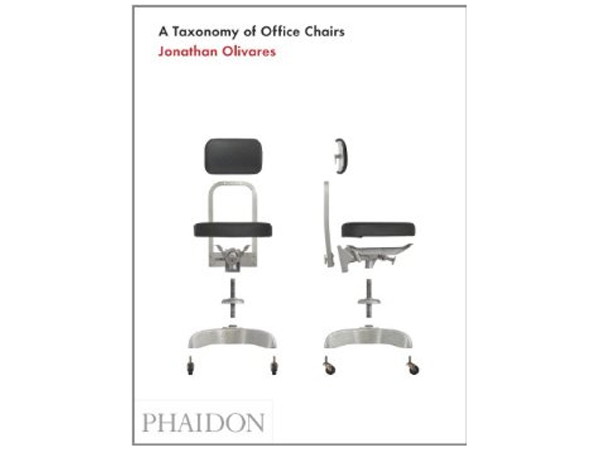 American industrial designer Jonathan Olivares takes a zoological approach to design in this categorised guide to office chairs, published by Phaidon in February this year. Recently reviewed by Alice Rawsthorn for the New York Times (read her verdict here), A Taxonomy of Office Chairs caught the attention of the WGSN-homebuildlife team at Viennese museum MAK's design shop by virtue of being the only design book on the shelf to offer something completely different. HBL loves: the innovative approach to design analysis. 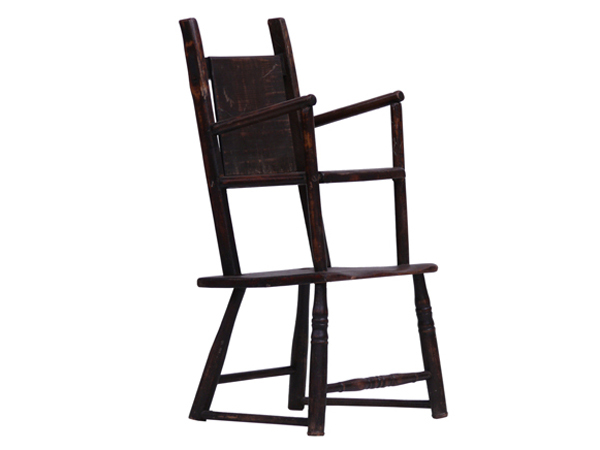 Olivares details hundreds of office chairs, categorising each component (head rest, angle of tilt etc) and chronologically tracking the evolution of the office chair from the 1840s to the present day. 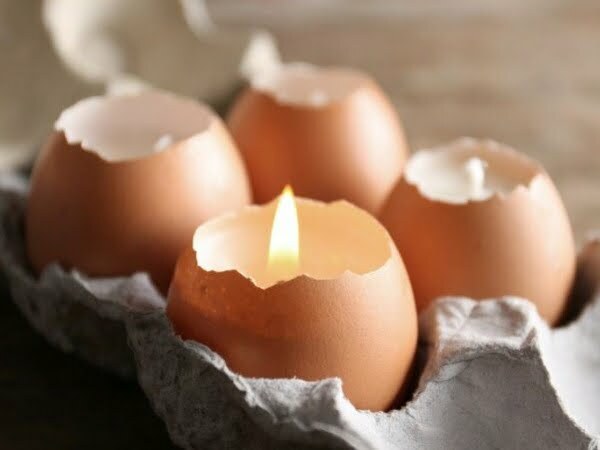 Seeing countless eggshells being discarded in food production, Hong Kong-based KaCaMa Design Lab found an opportunity to create a simple yet fun candle. Self-described "designer of the unusual" Eric Klarenbeek showed two interesting collections at Ventura Lambrate during Milan design week this month. Appearing as part of impressive Dutch design show Flight of Objects, Klareenbeek's imaginative textiles and lighting designs were stand-out pieces. 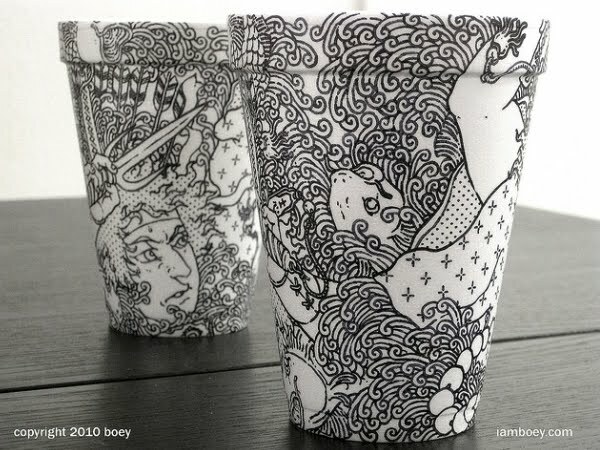 Armed with just a Styrofoam cup and Sharpie pen, illustrator Cheeming Boey has created a series of monochrome illustrations on a typically unvalued surface. 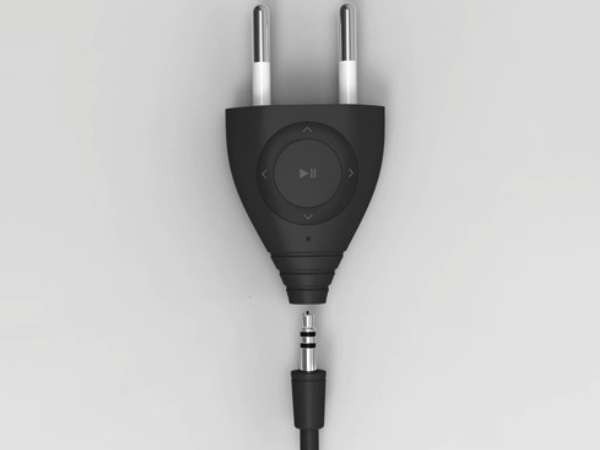 Korean product designer Giha Wood has created a conceptual MP3 player that merges the role of the plug charger. During the tradeshow season at WGSN-homebuildlife we are inundated with press CDs, releases and brochures, so it is always a pleasure to see well thought out imagery and branding. One such company this year was Winkler, a French linen brand whose spring/summer 2011 collection is inspired by the textures and geometry of the vegetal world. 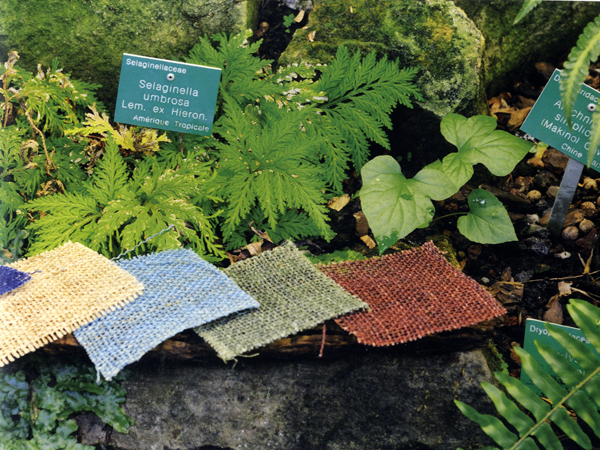 The fabrics are made from a variety of organic materials including paper, bamboo viscose and ramie fibres. We thought we would share some of the stunning imagery and styling from their catalogue. Yatzer is one of the heavyweights of the online design world: alongside Core77, Dezeen and Moco Loco, it's a bookmark design enthusiasts all over the world click into to accompany their first coffee of the day. Founded in 2007 by Greek interior designer Costas Voyatzis, the site now receives more than 1,000,000 pageviews a month. 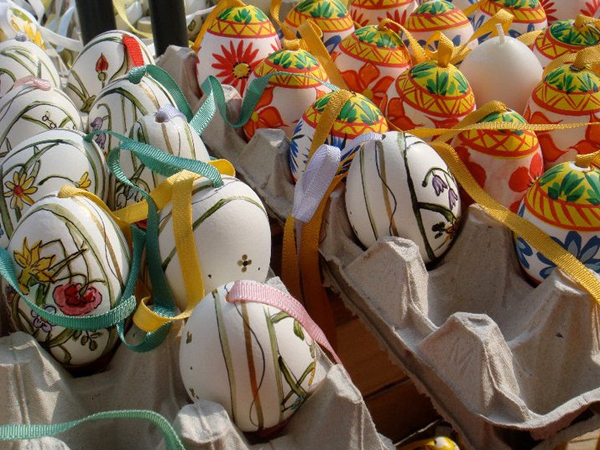 HBL loves: the comprehensive overview of creative events worldwide that can be accessed at a glance, every day. 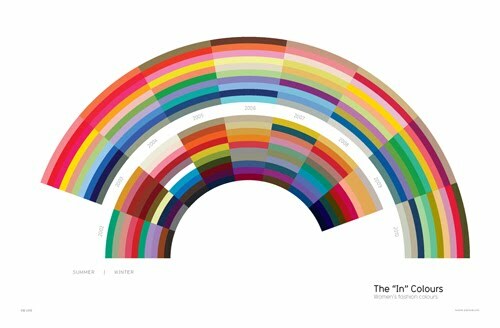 A useful reference guide to the world of design, from furniture and interiors to architecture, fashion, photography and graphics. Here are some of the photo highlights from WGSN-homebuildlife's trip to Vienna last week, including striking architecture, elaborate Easter displays,sun-filled shopping streets and cakes at a traditional Viennese kaffeehaus. 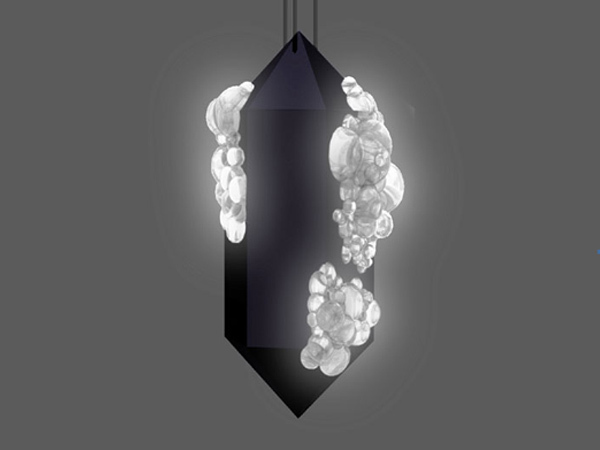 Jewellery artists Beatrice Brovia and Nicolas Cheng's exhibition at Galerie Caroline Van Hoek was one of the material highlights of Milan design week. 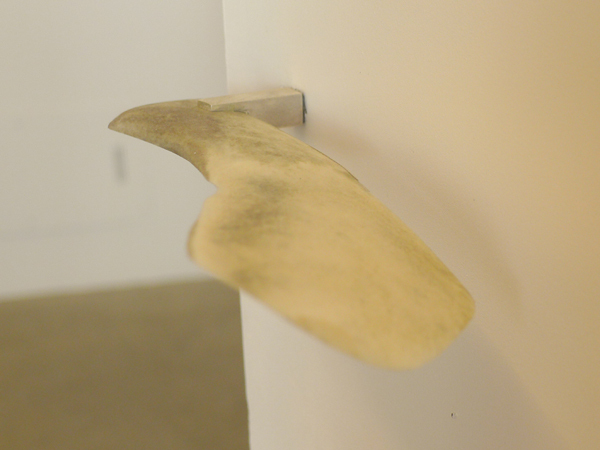 Conversation Piece Chapter One: On The Doorway showcased a series of sculpted objects acting as door handles, fixtures and fittings in the setting of a domestic interior. WGSN-homebuildlife reports live from the Bangkok International Gifts and Houseware Fair (BIG+BIH), highlighting three emerging trends from the show. The ‘Pah Kao Mah’: A pattern otherwise known as the traditional Thai checked loin cloth comes to the fore. The effect of colour and pattern in different sizes is widely seen on furniture upholstery, soft furnishings such as cushions, woven lampshades and shoulder bags. Colours are strong, ranging from fluorescent tones to deep exotic purple and fuchsia as well as bright solid colours such as red, orange and blue, often used together with white, grey and black to create contrast. Organic form rattan: Classic, straightforward wicker weave pattern is used to create 3D forms that imitate organic forms and structures. 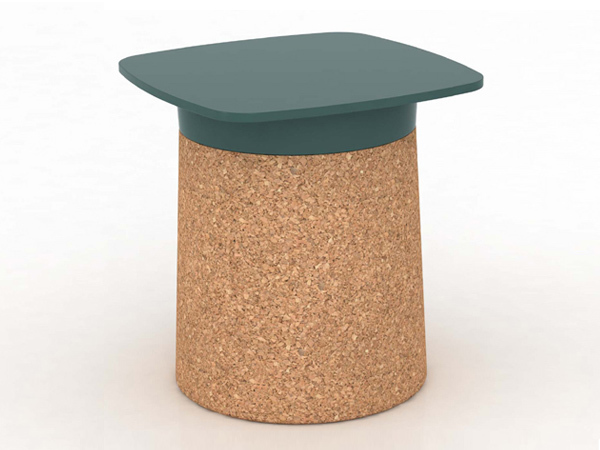 Finishes are in muted and subdued earth tones, and natural colours in matt finishes. 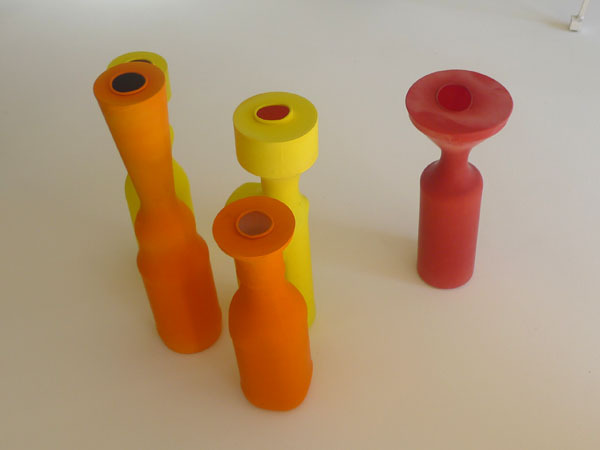 Technique is widely used in large scale furniture or lighting, and for some small home accessories such as vases and fragrance containers. 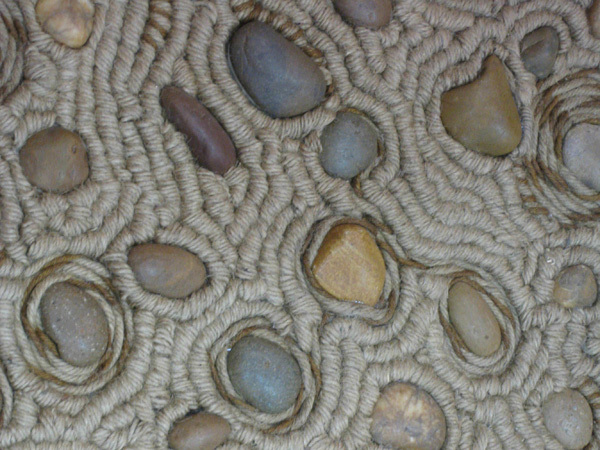 Pebbles and stones: Pebble stones are used mainly as tabletop accessories and floor decorations as well as combining with other materials such as jute to create rugs. Imitations of the stone and pebble finishes are seen in bathroom accessories, soaps and home fragrances. 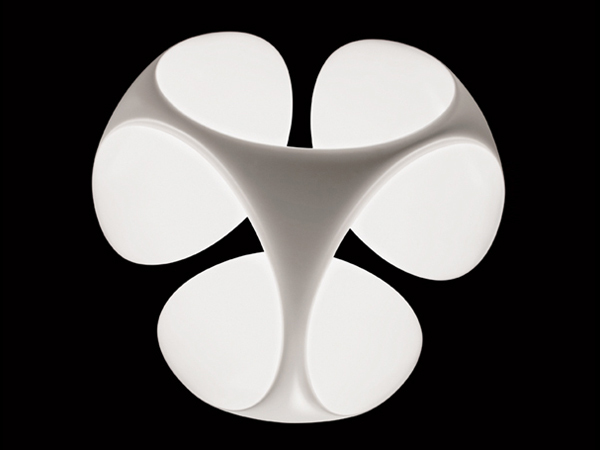 The sizes are irregular and sometimes used for complementing other table top products such as bowls and vases in ceramic. Warm, neutral tone colour combinations create a raw yet soft look. Subscribers can read the full live report here. 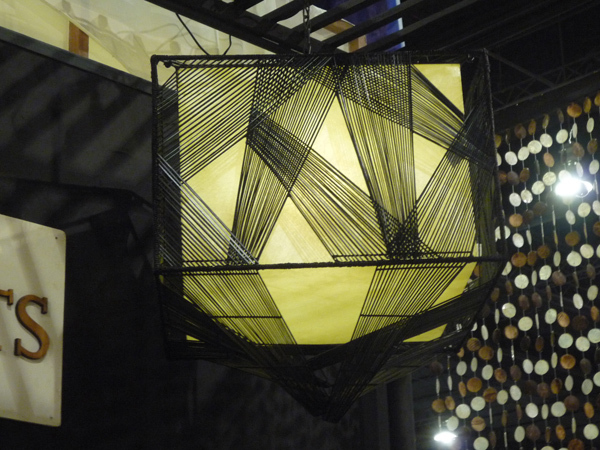 WGSN-homebuildlife subscribers can view our full live report from Manila here. 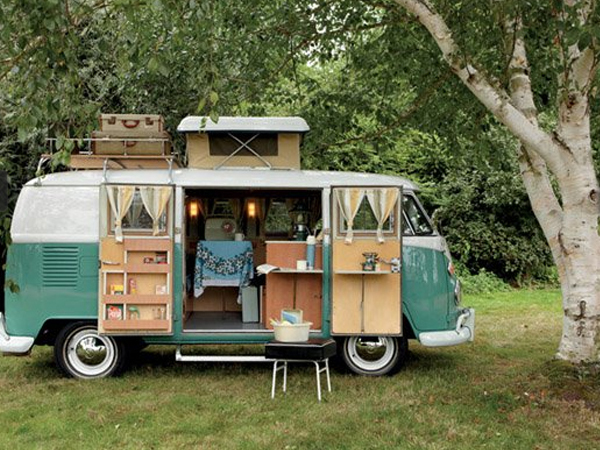 The brainchild of London-based stylist Jane Field-Lewis and designer Chris Haddon, My Cool Campervan provides visual inspiration for all campervan aficionados - including both proud owners and those who like to live vicariously. It will be published next month, but here's a sneak peek of what to expect. Our favourite blog this week is Anthology, the daily digital version of a print magazine founded by two American writers in 2010. 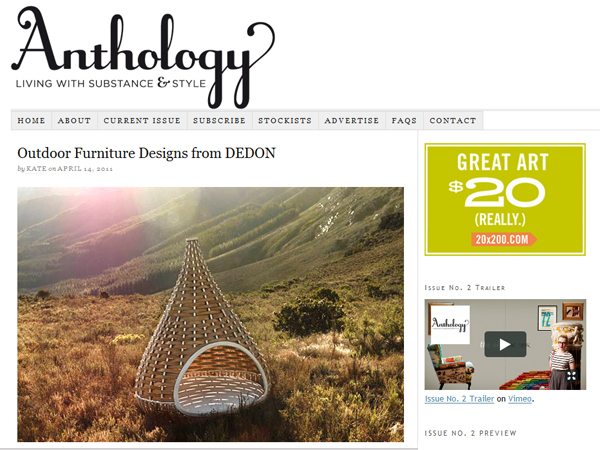 Anthology is a well-written and thoughtfully curated blog covering interiors, design and lifestyle. HBL loves: the upbeat and warm editorial voice, which ties together a diverse range of topics and creates a rewarding reader experience. 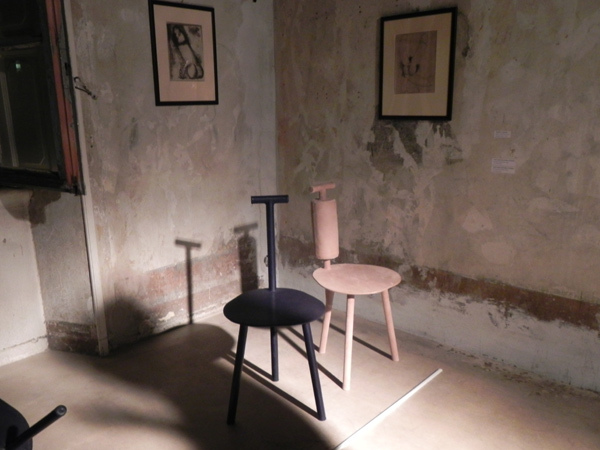 Swedish research and education institute Lund University's Industrial Design school showed a range of wooden furniture at Designersblock in Venture Lambrate last week, publicising their Bachelor and Masters programs in the subject. 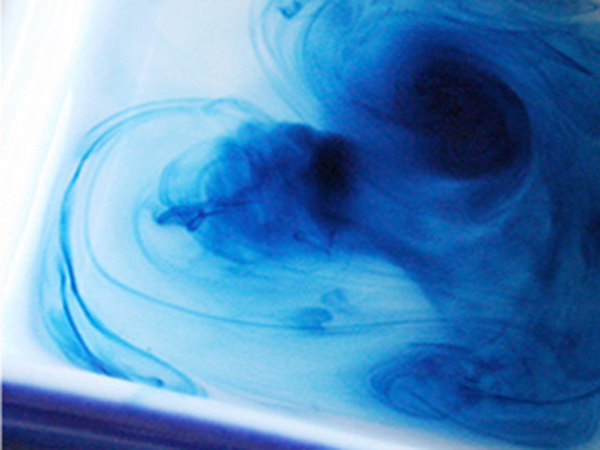 There has been a resurgence of indigo this season, with the colour seen in various depths and shades not only on the catwalk, but also in the home. In our latest colour analysis, WGSN-homebuildlife reports on the most contemporary shades and applications of this ancient pigment. One of the brands that really stood out at this week's Salone del Mobile was Lago, an Italian design company whose stand was covered in pebbles and had an airy, outdoor feel to it. 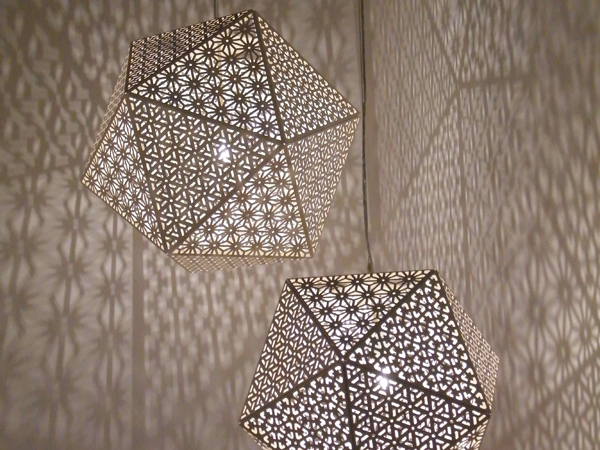 Subscribers can read our full live report from Euroluce here. WGSN-homebuildlife highlights the emerging trends seen at the off-fair districts of Milan Design Week (Fuorisalone) including Zona Tortona, Venture Lambrate and Brera. WGSN-homebuildlife subscribers can read our full live report from Fuorisalone here. WGSN-homebuildlife subscribers can view our full live report from the Satellite here. WGSN-homebuildlife subscribers can read the full live report, including our top three brands, here. This year British furniture brand Established and Sons abandoned their 10,000 square foot space at Bera's La Pelota in favour of an exhibition space further South at the Versace Teatro in Piazza Vetra. At 1200 square feet the new venue is significantly smaller and the exhibition design is somewhat simple in comparison to the extravagance of previous years, however this year the products take centre stage. Their seventh collection includes new designs by Sylvain Willenz, Erwan & Ronan Bouroullec, Richard Woods, Sebastian Wrong, Committee and Barber Osgerby to name a few. Tucked away in a courtyard in one of the main off-fair districts, Zona Tortona, is a small designmart made up of designer-makers selling direct to the public. Of the various brands on show, WGSN-homebuildlife's favourite was Vicolo Paglia Corta, a Bologna-based design duo formed in 2008 whose colourful and customizable Mattoncino tables caught our eye. On Monday night WGSN-homebuildlife attended a midnight dinner called Underkitchen by Arabeschi di Latte at Studio Toogood' s exhibition Natura Morta, which is showing this week during the Salone del Mobile. Natura Morta is the Italian term for "still life" but literally translates as "dead nature". 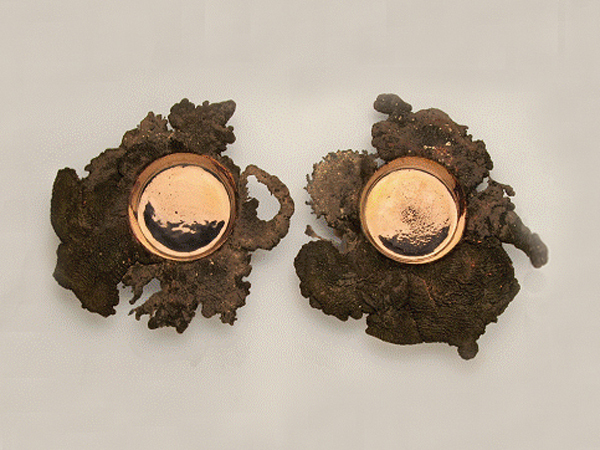 The exhibition aims to examine the darker side of the natural world. Popular Sao Paolo design shop Micasa has begun stocking Oldesign, a collection of individually-sourced vintage products for the home. Here, HBL highlights some of its favourite pieces from the new shipment. Information is Beautiful is a compilation of prolific infographic designer David McCandless's creations to date. In the world of infographics (beautiful visualizations of sets of data), McCandless is one of the pioneers and his subject matter varies from tracking the escalating price of cocaine from harvest to market, to the crossing paths of time travellers in film and television, via a comparitive study of the real health benefits of 'superfoods' and a consensus cloud of the top 100 books that everyone should read. The varied subject matter is matched by his aesthetic creativity - and information really is easier to take in when McCandless has interpreted it. HBL loves: everything about this book. It's an impressive coffee table read, beautifully laid out and well-made, and fascinating to either dip into or read all the way through. Highly recommended - especially as the field of infographics looks set to grow and grow. Designed by Piero Lissoni, Here and (T)here is a limited and numbered production of objects designed by Fabrica for Secondome. 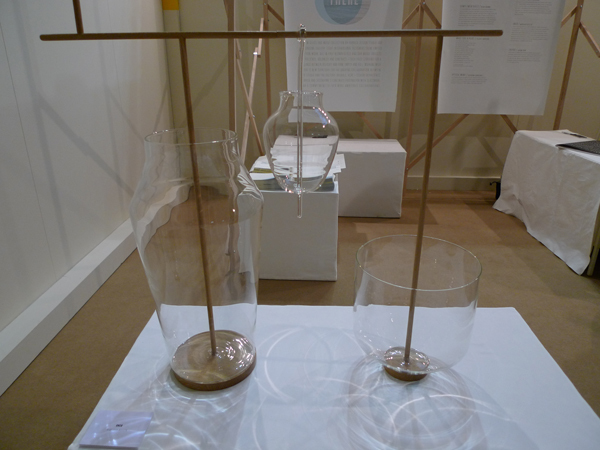 An exploration of blown glass and oak, these pieces are hybrid, bold structures focusing on form rather than function. Seen at Salone Satellite at Stand C 41 as well as the new Benetton showroom at Corso di Porta Vittoria 16, Here and (T)here is a fine balance of fragility and solidity. This week's choice has a distinctly British feel to it. 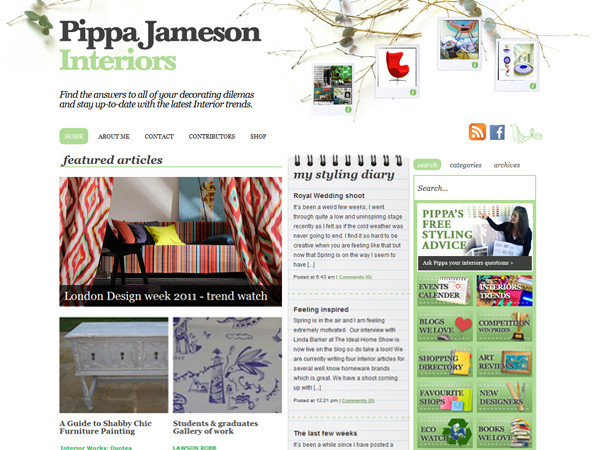 Edited by Pippa Jameson, an experienced interior stylist and former Deputy Interiors Editor of BBC Good Homes, Pippa Jameson Interiors offers everything from decorating ideas and advice to events coverage and DIY craft projects. HBL loves: its practical approach to interiors. While it's interesting to read hotel reviews and see the new collections from famous brands, it's also useful for readers who want to find out how to make a lampshade or read a beginner's guide to painting furniture. In our last preview before our live coverage from Milan kicks off tomorrow, we're intrigued by the unusual curatorial approach of What else is there? Hosted by Kaleidoscope, curators LHCK have asked four designers to choose music videos that give us a look at their "visual and cultural DNA", with their latest pieces for Italian furniture brand Mattiazzi also on display. 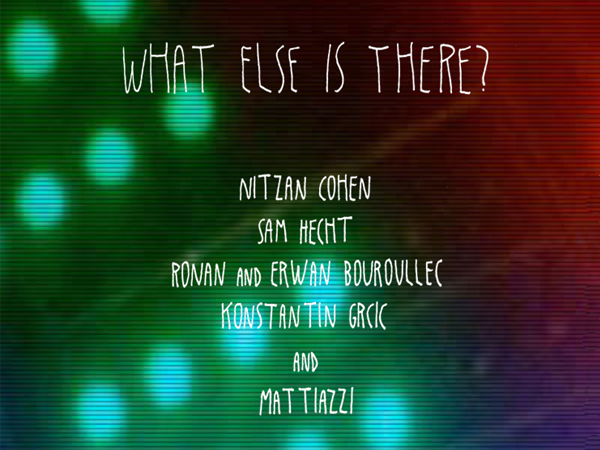 Konstantin Grcic, Sam Hecht, Ronan & Erwan Bouroullec and Nitzan Cohen have all made their selections, and also answer six questions about their choices. Download the exhibition brochure here to read more - or visit the gallery at Via Masera, 20124 Milano, from tomorrow until 16th April 2011. 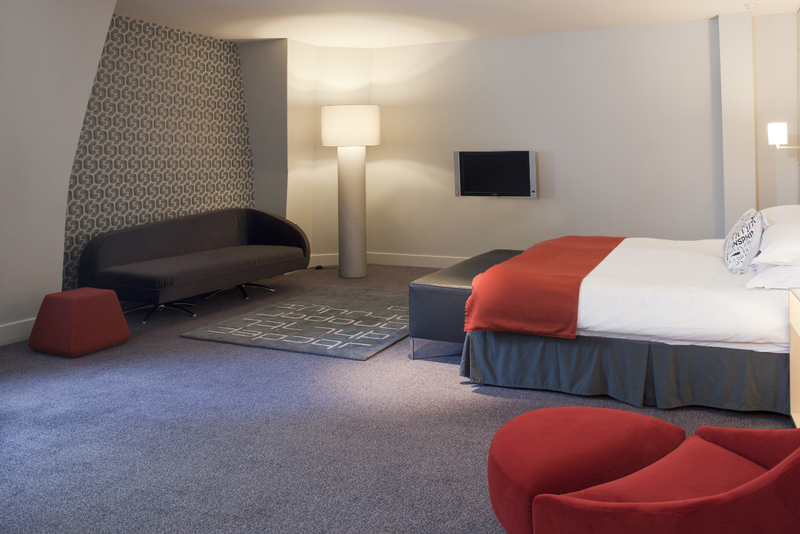 London hotel Andaz Liverpool Street is marking the current Wim Crouwel exhibition at the Design Museum with a guest room dedicated to the graphic designer's work. Special edition Cole & Son wallpaper (read about it on the blog here) and a rug by Tai Ping adorn the roon, accompanied by accessories featured in the exhibition. WGSN-homebuildlife reports live from High Point Market in North Carolina. To read about our top three emerging trends from the event, click here. 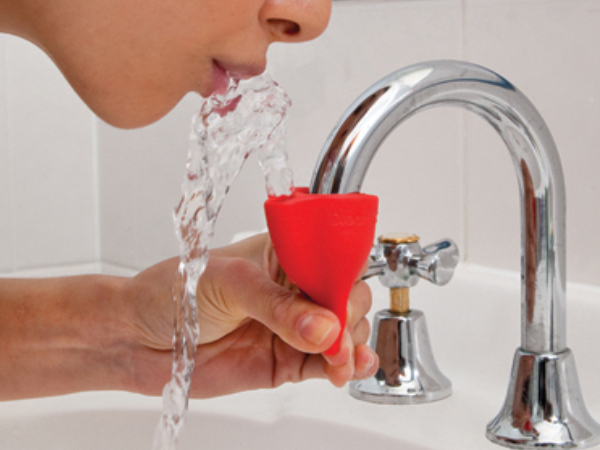 Tapi by Australian company Dreamfarm turns the ordinary faucet into a fun drinking fountain by simply pressing the bottom of the rubber insert to change the flow of water. Lasvit will present Soft Geometry, a spectacular new chandelier by French designer Mathieu Lehanneur, in Zona Tortona next week. The piece will be on show as part of Bohemian Rhapsody, an exhibition which will also include works by Fabio Novembre and Nendo. The exhibition will be held at Opificio 31, via Tortona 31, with its opening night on April 13th. To read all of our Milan previews so far, click here. 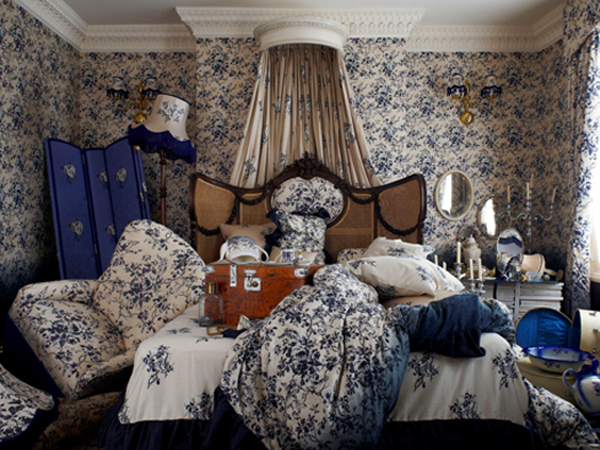 House of Hackney is a new luxury interiors brand, based in Hackney and run by couple and business duo Javvy M Royle and Frieda Gormley. Originally from fashion and product-design backgrounds, Royle and Gormley re-examine the concept of traditional British homewares, making it appealing for a new generation with their "Colefax & Fowler on acid" approach. 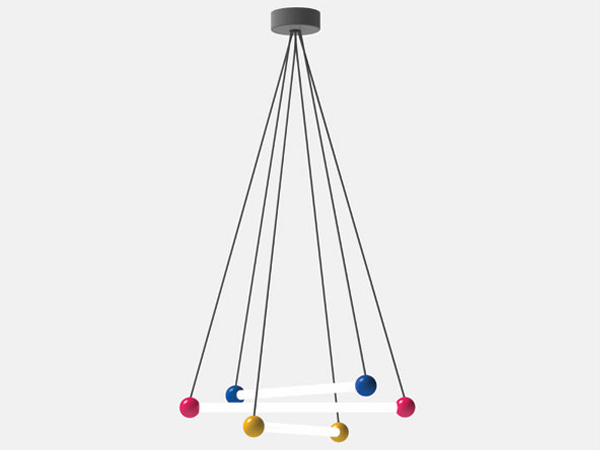 Belgian design brand Tamawa will launch a pendant lamp designed by Sylvain Willenz in Milan next week, which uses Bakelite balls to connect tubular lights. 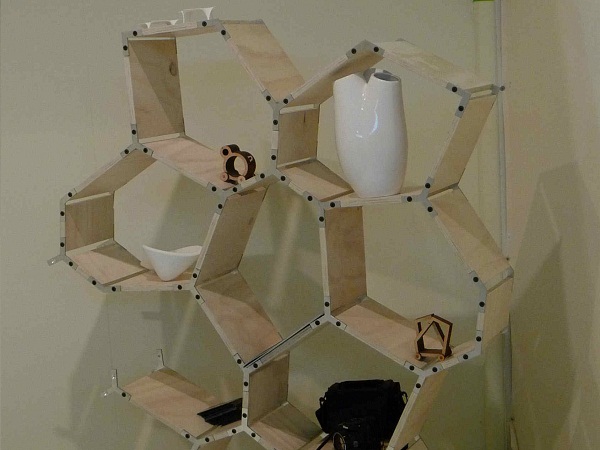 HBL Exhibitions: Danish Design - I like it! 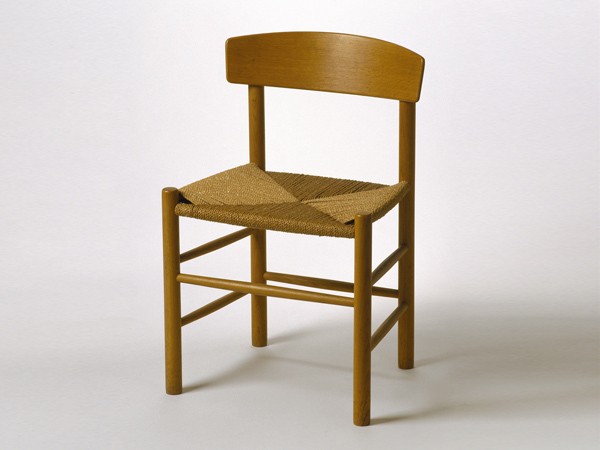 British designer Jasper Morrison has curated Designmuseum Danmark's spring exhibition, Danish Design - I like it!, which opens tomorrow and runs until October. A selection of objects from the museum's collection, hand-picked by Morrison, will be shown together with the aim of presenting Danish design in an international context. Italian brand Kundalini will launch a number of new lighting designs at Euroluce next week, including Evita by Aquili Alberg, Frame by Benjamin Hubert, and Clover (above) by Brodie Neill. 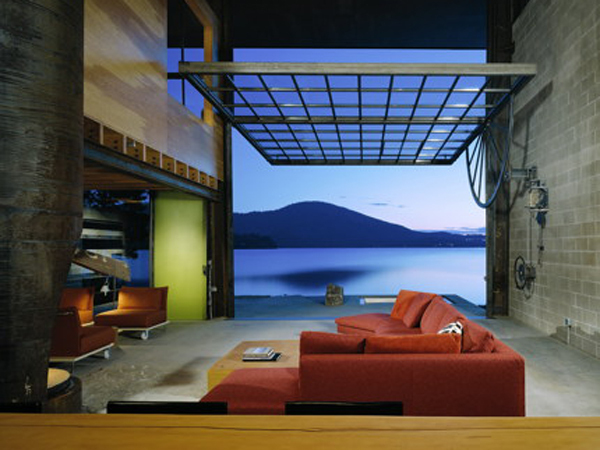 Focusing on an idyllically rustic approach to living, 'Arcadia: Cross-Country Style, Architecture & Design' (Gestalten, Berlin 2009, ISBN 9783899552577) serves as fantastic visual inspiration for WGSN-homebuildlife's A/W 12/13 macrotrend Eco Hedonism. The book is divided into four sections: Off Shore, Cross-Country, Deep in the Woods and The Mountain Calls. WGSN loves: the detailed research that obviously went into each section. Architecture, furniture, lighting, products, installations and quotes are used to illustrate each lifestyle, and you're guaranteed to find an amazing designer you'd never heard of before within its pages. EDC London is currently showcasing the new collection by Flux exclusively at its showroom on 20 Margaret Street, London. Launched at Maison et Objet in 2010, Flux is a new design company founded by staff and Masters students of Staffordshire University, aiming to revive ceramic produced in Staffordshire. 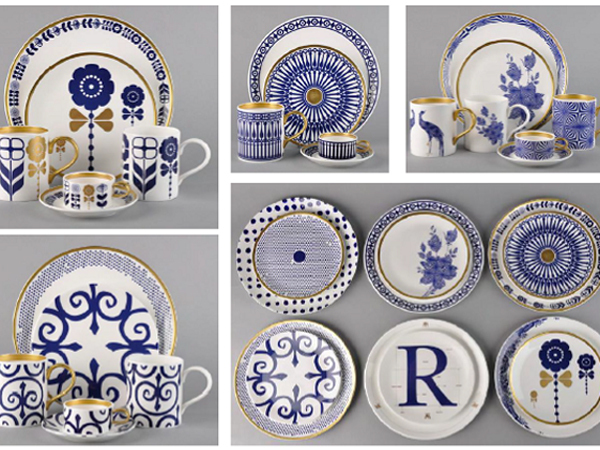 Its geometrical repeat patterns, combined with Staffordshire’s craft ancestry, perfectly feeds into WGSN-homebuildlife’s A/W 12/13 macro trend Hyperculture. 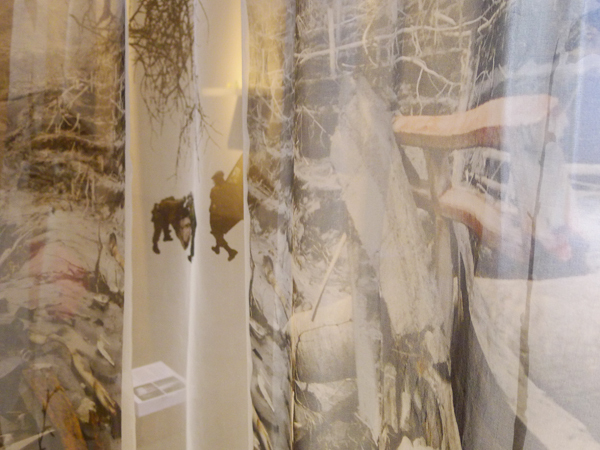 WGSN-homebuildlife subscribers can view all of the A/W 12/13 macro trends here. Industrial designer Patrick Norguet will launch a number of new products at the Salone Internationale del Mobile next week, including a side table and bistro table for Kristalia, an outdoor lamp called Tools for Roger Pradier, and a range of ice boxes for Italesse to be sold at Rinascente's Piazza Duomo store (read more about Rinascente during design week here). London's Serpentine Gallery is renowned for its annual pavilion, always designed by a renowned architect and sure to draw crowds of visitors each time. 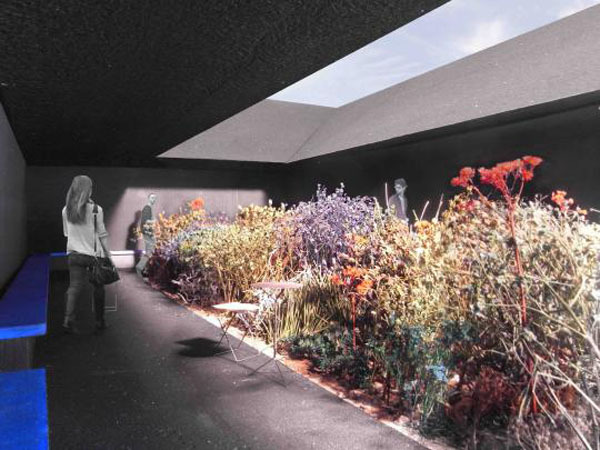 This year's pavilion is to be designed by Swiss architect Peter Zumthor, while the garden will be the work of Dutch designer Piet Oudolf. 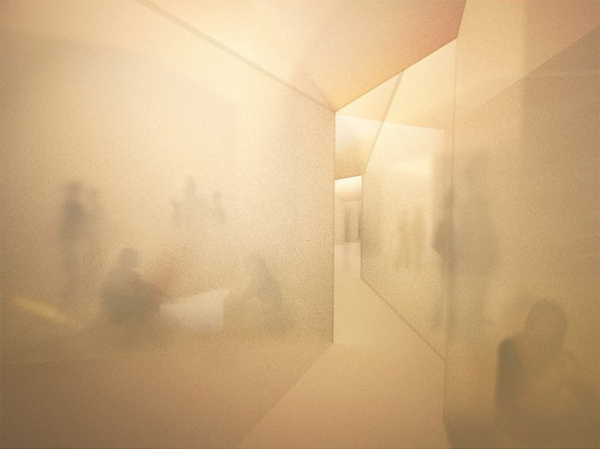 Zumthor has described the concept as "the hortus conclusus, a contemplative room, a garden within a garden." 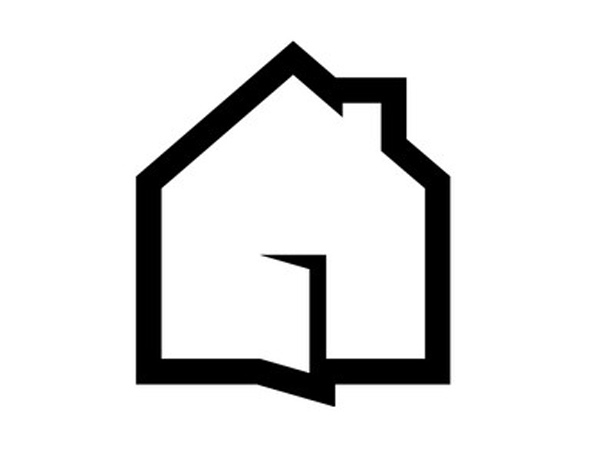 Experimental Dutch design brand Droog have announced a new project called Open House, "a movement in which suburban homeowners supplement their income and develop a new vocation by offering home-made services and facilities to the public". Described by its authors as "art, somewhere in between New York and Tokyo", Spoon & Tamago is run by a husband-and-wife team based in both cities, and is named after the results of a personality test taken by the two which compared them to a spoon and an egg. The editorial voice is friendly but informed; the layout is clean and easy to navigate. WGSN loves: the unusual content. 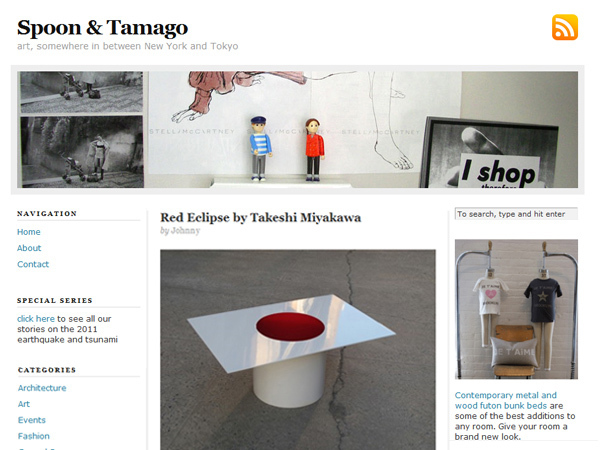 Spoon & Tamago posts are 90% original, the result of independent research, which results in a refreshingly different output that you're unlikely to see on another blog (unless they have copied it over of course). 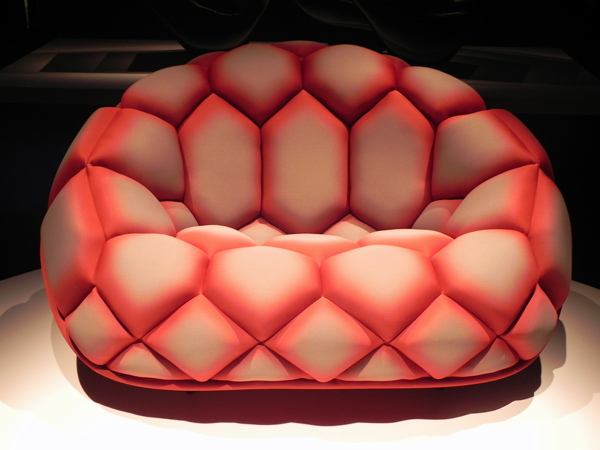 From April 12-17, more than 300,000 international vistors will descend on Milan for its annual Furniture Fair - by far the biggest event on the international design calendar. This year, the fair is celebrating its 50th anniversary. WGSN-homebuildlife has been trawling through the invites and guides for several weeks now, bringing you individual highlights - and now subscribers can read our guide to the top twenty events.